Hoof growth is one of the most important elements in hoof physiology. The hoof grows from the coronary band down toward the toe. The average hoof grows ¼ to 3/8 inch per month. 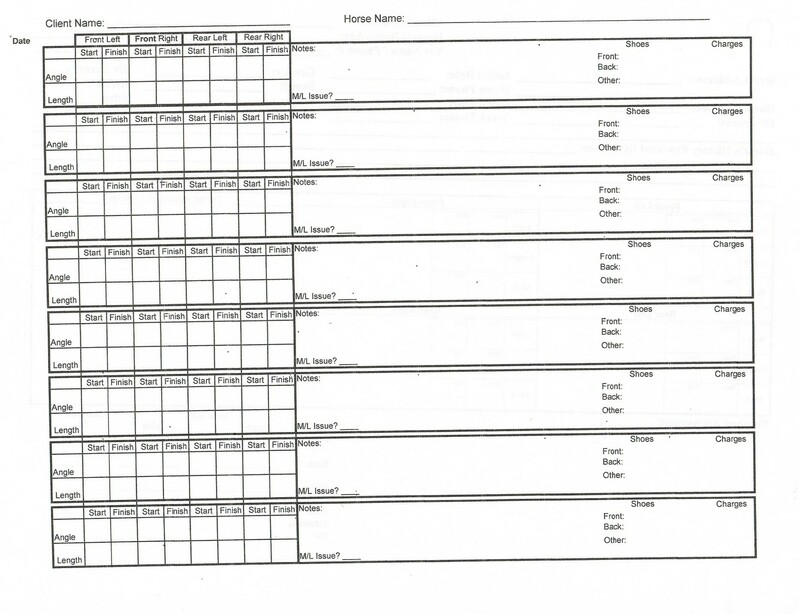 Trimming should occur on a monthly schedule. Our Horseshoes are fitted to the heel of the hoof with angles usually higher than 52 degrees. This angle will successfully remove the long toe, low heel challenge and provide protection for the entire hoof. The protection extends from the sole, ligaments, tendons, knees and shoulders to the entire horse and its spine. Most lameness occurs in the front legs. Approximately 95% of front leg lameness stems from the knee down. Lameness in the hind legs, though less common, is usually caused by problems in the hock and/or stifle. Proper trimming of the hoof and fitting of the shoe can eliminate many instances of hind leg lameness. We’ve raised angles up to 58 front and 63 rear to correct hock, stifle, and suspensory issues. We suggest the following tools to make accurate measurements. Note the frog in this illustration: Excessively paring the frog removes the shock absorption, traction, cushion, flexibility, & ability to pump blood. Why pare the frog this way? GoldenwingsHorseshoes are designed to fit the width of the trimmed foot (see blue dotted line above). Fitted from the rear of the heel buttress at the ground #5 forward to toe #3 (see hoof-lateral view below). Excess toe at #3 from the white line forward, may be removed with nippers or rasp to conform to the same degree of front angle of the shoe. The toe will wear of naturally, too. As with any project, or journey, you must know where you are to begin if you expect to arrive at your destination with a successful conclusion. 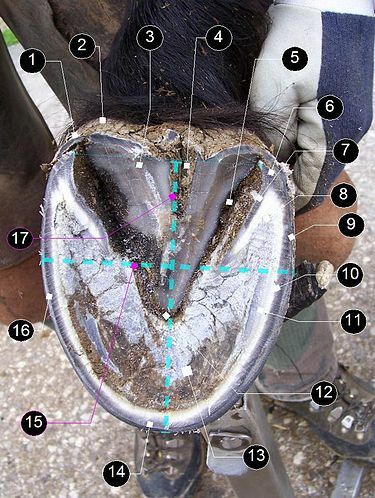 These measurement recommendations are based on the individual horse’s GOLDEN RATIO-DIVINE PROPORTION (click here for information on "The Golden Ratio") and unique to GOLDENWINGSHORSESHOES. THE ONLY WAY TO CORRECT INAPPROPRIATE ANGLES IS IN THE TRIMMING. GoldenwingsHorseshoes are designed to fit the width of the trimmed hoof. 1. We believe that flares should be removed first to aid in correct measurement. Measure the angle carefully to determine the angle before trimming. Measure the toe length from the point where the hair line ends on the hoof below the coronary band to the base of the toe. Be sure to make notes before and after trimming. Be certain of your measurements so that your order for the appropriate size shoe is made. 2. Clean the Collateral Grove beside the Frog to remove debris or thrush. This will assist in careful, measurement along the length of each side of the Frog. Measurement will occur from the apex to the “V” at the buttress of the heel. Please note- It is not advisable to clean/pare around the Frog in Excess. Extreme care must be taken in paring the Frog in order to let the Frog do its job. Excessive paring of the Frog removes the shock absorption, traction, cushioning, and flexibility functions. It will also reduce the ability of the Frog to perform the pumping action that supplies the entire hoof with blood flow. 3. Average the 2 measurements of each side of the Frog to determine the length of the toe from the hairline to the ground. Measure the distance from the apex of the frog to the “V” on each heel. Carefully note the length of each side of the frog. If you find a slight difference on each side, you may then need to split the difference to determine the proper toe length. The average length of each side of the frog will determine the toe length. Measure from the hair line at the coronary band to the toe where it meets the terrain. The toe length may be a bit shorter to accommodate the shoe thickness, but not longer to avoid excessive leverage. This measurement normally provides for a 52-degree (or higher) angle to reduce leverage and relieve stress on the tendons, ligaments and legs of this specific horse. Splitting the difference in length (on each side of the frog) making this measurement the length of the toe (or slightly less) will bring the foot into balance within a couple of trims. 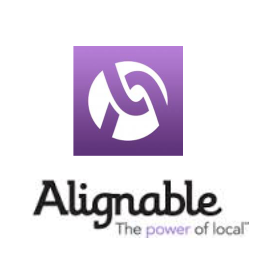 This will balance the foot with Triangulation with 1 to 2 resets. The concept of TRIANGULATION to balance a hoof is borrowed from navigational and land surveying techniques that determine a single point that is dependent on the convergence of measurements taken from two other distinct points, in our case, on each side of the frog. 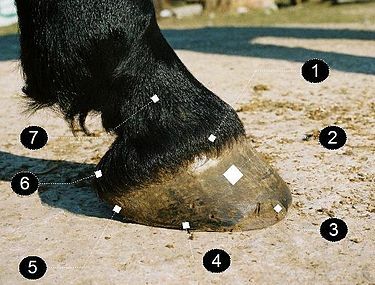 Check for proper angulation of each hoof, and check for inconsistencies in balance in each hoof. Angles need to be at least between 50 – 55 degrees for front feet – a matching pair. For the hind legs, the angle needs to be a minimum of 55 – 60 degrees, again a matching pair. You can check the angles of you horse’s feet with a hoof gauge. There is probably nothing more important in measuring and fitting as a GOOD HOOF GAUGE. 4. Trim the heel to the base where it joins the bar at the “V.” Proceed to remove excess hoof wall even with the sole around to the other side at the heel. Using the T-Square, check to be sure the hoof is level. 5. Determine the correct shoes size by measuring across the trimmed hoof at the widest part in millimeters. 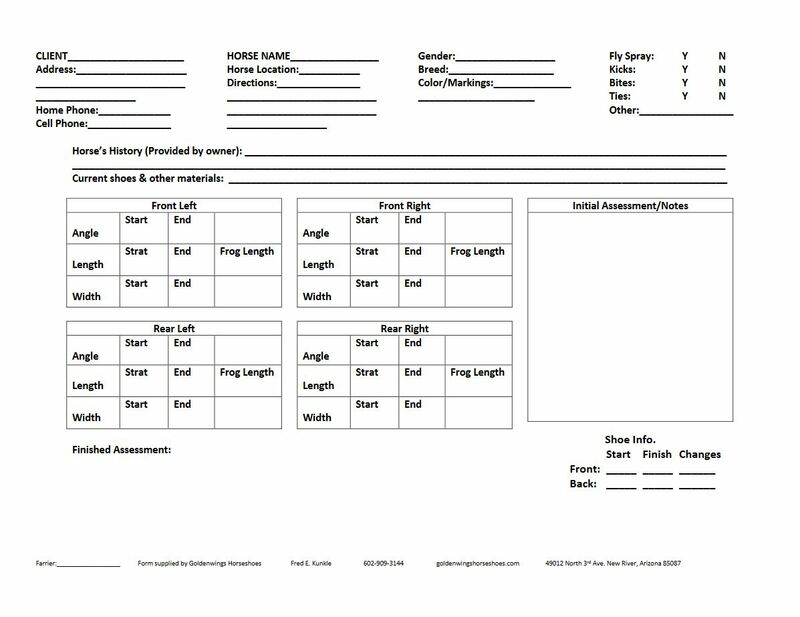 This measurement determines the front and rear sizes of GOLDENWINGSHORSESHOES for this horse. When the shoe is fitted to the heel properly, it will be the correct length to allow the frog to be exposed and do its job. This will also provide protection of the coffin bone. Excess toe from the white line forward may be removed with nippers or rasp to the same degree angle as on the toe of the shoe, or the toe will wear off naturally, as well. The amount of toe trimmed here is usually comparable (or less) than the hoof might “self-trim” over varying terrain (as if no shoe were installed). The angle at the toe of the shoe is designed to relieve leverage, helping the toe break over for the next phase of the stride. 6. Rasp the shoe to fit the hoof. Do not rasp the hoof to fit the shoe. 7. By using nature’s Golden Ratio, you then determine the correct angle for a specific horse as determined by the Golden Ratio or Divine Proportion. 8. Nails-we recommend City Head Slim Blade Nails to maintain hoof wall strength and integrity. City Head Regular Nails may be a second choice. 9. Make accurate records of the finished unshod hoof angle and toe measurements and maintain good records. GOLDENWINGSHORSESHOES are designed to fit the entire hoof capsule rather than a hoof rasped to fit a shoe. Our shoes can be rasped to fit the hoof if necessary, being very careful to not rasp the hoof wall. To maintain the integrity and natural strength of the flexible hoof walls, don’t rasp clinch channels for nails. Clinch block the nails and remove only the turned over nail without touching the hoof wall, if possible. It is important to keep the hoof wall strong and flexible. The nails will hold. Our experience has shown that the second or third application of GOLDENWINGSHORSESHOES, with proper trimming as suggested in our Trimming Guidelines, may result in a reduction of shoe size as the foot begins to reshape as it achieves balance. This is a good and positive reaction of using GOLDENWINGSHORSESHOES. A strong, flexible and healthy hoof! GOLDENWINGSHORSESHOES Secret Technology Compound provides a shoe made of material that flexes and wears just like a natural barefoot hoof. When the hoof, loaded with the weight of the horse, hits the ground with each stride it actually changes shape. GOLDENWINGSHORSESHOES are made of a material that moves with the changes the hoof experiences with each stride. A horse’s hoof is so flexible that one could actually take hold and give it a good squeeze, noticing the give.